Pocket-Greenhaven, more commonly known as 'The Pocket', is a community in the city of Sacramento about five minutes south of downtown Sacramento off Interstate 5. Originally a farming community until the turn of the 20th century, The Pocket is a riverside settlement that experienced slow growth until construction picked up in the 1960's. Due to a development phase that lasted more than 40 years, the demographic in the population spans from the original homeowners in their 80's to new residents and families in their 20's. The area is home to middle-class and upper-middle-class families primarily, many living in the desirable gated communities like Riverlake. Several large, high-class homes are built there, and house some of the upper echelon of The Pocket. 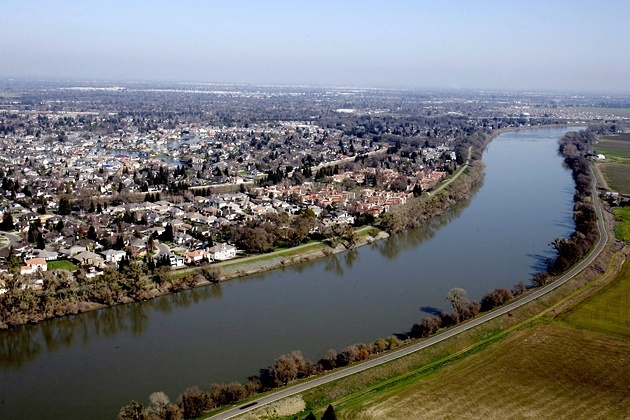 They sit along the Sacramento River, and have easy access to boat docks along with breathtaking scenery. As a bedroom community, The Pocket is mainly residential. There are few businesses and restaurants, which isn't problematic due to the close proximity of downtown Sacramento. There are a few high-ranking schools, and the The Pocket benefits from a low crime rate. Precision Automotive Service is the number one choice for vehicle maintenance and repairs in The Pocket. A locally owned and operated business, Precision Automotive Service is equipped to service all your needs no matter the make or model. Since 1990, our ASE-certified technicians have satisfied customers from The Pocket and surrounding Sacramento communities. Come see Precision Automotive Service, just across Interstate 5, for all your vehicle maintenance and repair needs. Call us today or book a convenient appointment online.